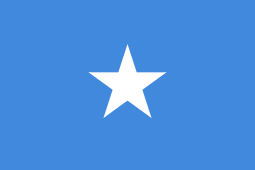 The Bajuni Islands (also known as the Bajun Islands or Baajun Islands) are an archipelago in the Indian Ocean, situated on the southern coast of Somalia, from Kismayo to Ras Kiyamboni (not to be confused with Ras Kamboni). They lie at the northern end of a string of reefs that continues south to Zanzibar and Pemba. Administratively, the islands are within the Lower Juba region of Somalia. Chula with the village of Ndowa is the only island with a significant population. Other islands of minor importance are: Kandha Iwu, Fuma, Ilisi and the island of Kismayo (actual Kismayo harbor), the latter of which was attached to the coast in 1961 during the construction of Kismayo Port. The islands, as well as the extreme southern area of present-day Somalia, were part of British East Africa prior to World War I. They were later transferred to Italy after the war. According to C. Wightwick Haywood, then a British official in Kismayo, who visited the islands in 1913, the only inhabited islands in the chain were Tovai (i.e., Chovaye - the biggest island in the chain) and the nearby Tula (i.e. Chula). Each of these two islands were no more than 3 miles long and a mile across. Maize, millet, sweet potatoes and coconuts were grown. The residents of the islands at the time, whom Haywood thought to be of Arab and/or Persian descent, built dhows, which the British official considered "excellent sea boats". On his 1913 trip, Haywood saw ruins of what he described as a "fair-sized town" on the Tovai (Chovaye) Island. He was impressed by stone carvings, and thought that the ruins had been left by people "of a superior culture" to the residents of his day. He mentioned that somewhat similar stone scrollwork could also be seen on houses in the Lamu Islands in present-day Kenya. The islands are today mainly inhabited by the eponymous Bajuni people. All Bajuni inhabitants of Koyama island belong to the Nowfali sub-clan.